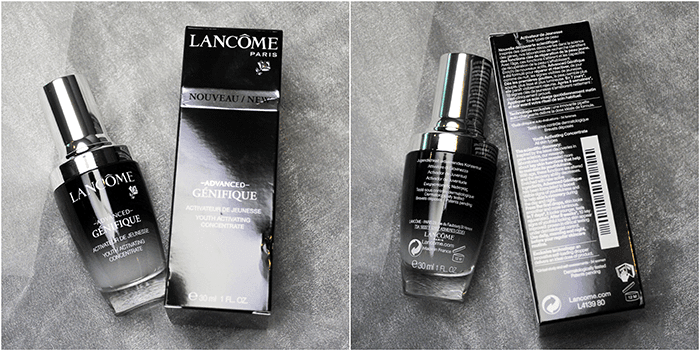 The elegant little black bottle, Lancôme Advanced Génifique Youth Activating Concentrate is an new formulation anti-aging serum powerful it creates more radiant and smoother skin that you can see and feel. 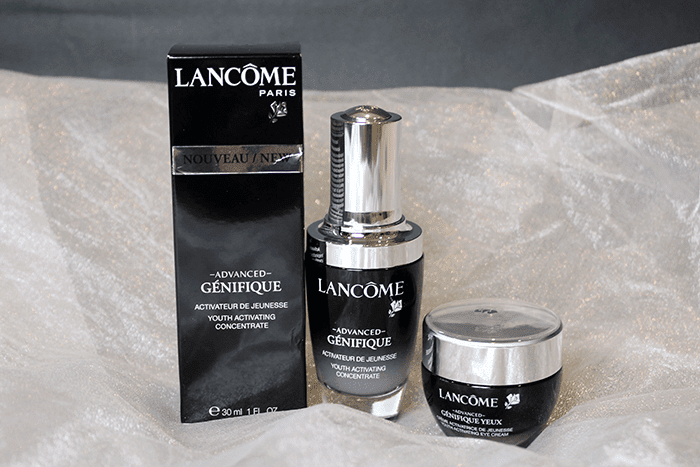 Advanced Génifique is the perfect first step after cleansing to reveal smoother, more radiant skin for all ages, ethnicities, and skin types. Advanced Génifique is also formulated WITHOUT Parabens, Sulfates, Phthalates. 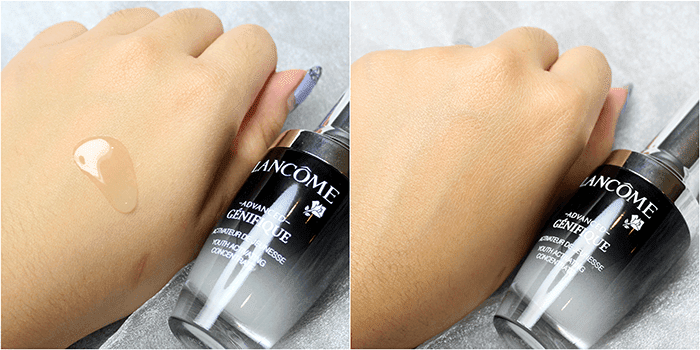 With an exclusive self-loading dropper, Génifique delivers the ideal dosage to bring back the light into your skin. 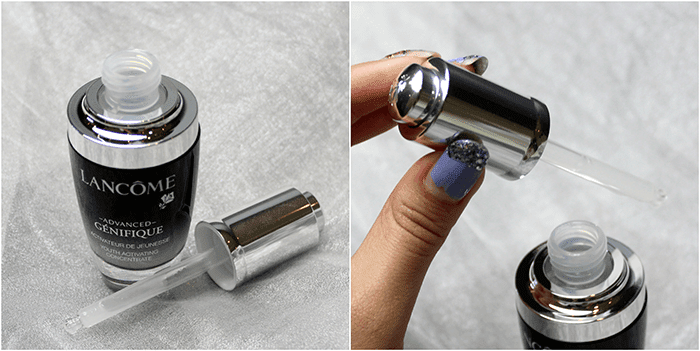 Design complete with an exclusive self-loading dropper that gives you the perfect dose of serum for each application, skin will feel refreshed, renewed, and healthy. 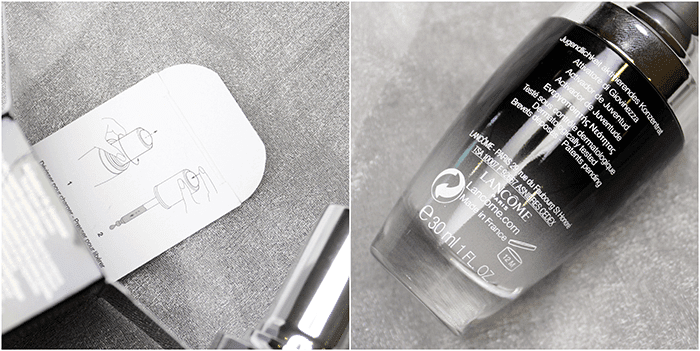 In packaging wise, Lancôme signature's black box with silver label and font was always simple yet so classy enough. A black gradient glass bottle with the exclusive self-loading dropper on lid with their signature rose design. The self-loading dropper makes easy when picking with perfect amount of serum when dispensing. One or two pumps is perfect enough to apply on face and neck depending on your personal preference. As for the texture, it is silky and smooth yet very light. After cleansing and toning, I take about two drops and gentle dab then massage on my face and neck for pleasant result. Basically, I like the scent of this serum as well. It makes me feel so good, doesn't feel like perfume or any artificial thingy included. 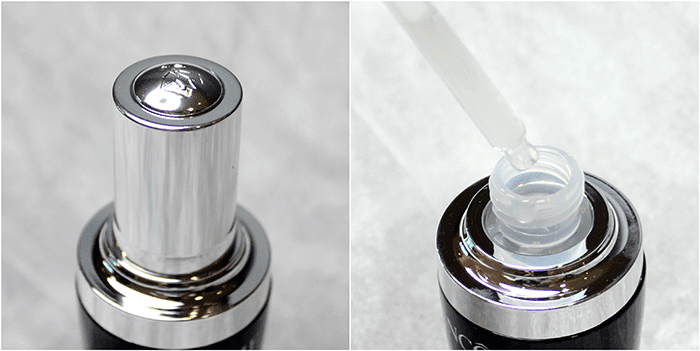 This serum is easy to spread and absorb very fast. I am using this serum only at night. Basically I will heavy apply all my skincare at night compare to day because I want a more pleasant result on the next morning. This serum doesn't give me a greasy feeling yet it is not sticky or have thigh feeling after applying. Besides that, I also found this serum has a quite high hydration level because the result is quite obvious that my face are hydrated and smooth on the next morning. I have using this serum for almost two weeks. My skin definitely can see improvement where my skin is more brighter and supple yet it's also makes my makeup looks even less cakey and longer lasting. Since I am still young with no fine lines or wrinkles problem, this question I can't give you an exact answer but the hydration level is high! 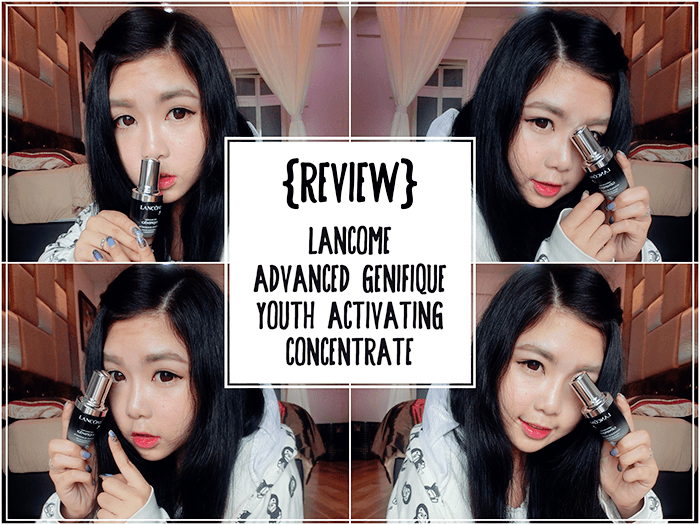 Lancôme Advanced Génifique Youth Activating Concentrate is definitely a worth of try if you have the budget because this product is not pocket friendly nia, hahahhaa. Apply 1 to 2 drops on face and neck after cleansing and toning. quite expensive :P but worth it right?